Istikhara in Arabic means seeking guidance to make a decision concerning something. It is said in Arabic Istakhir Allaaha yakhir laka (Seek guidance from Allaah and He will guide you (to the right decision)). In sharee’ah terminology, Istikhara means seeking guidance (to the right decision), i.e., seeking guidance as to what Allaah knows is the best and most appropriate choice, by means of prayer or the du’aa’ narrated concerning Istikhara. Narrated by al-Bukhaari in several places in his Saheeh (1166). If you want to learn what is Istikhara and how should One pay the prayer of Istikhara , Listen to this beautiful lecture by Mufti Menk . 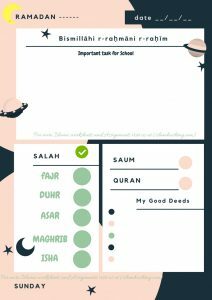 Hope you found the above Lecture Useful .Do Keep us in Dua .Browse for more Educational Islamic Lectures Here . Thank you for this post . This is a sunnah which practice is at a very , very , very low level . When it is barely known how can it be practiced ? And when it is not practiced how can we benefit from it ? It will not be a bad idea to have the transcript of the beautiful lecture for downloading . Jazak Allah khair for leaving a feedback. In sha Allah will try to implement you idea.